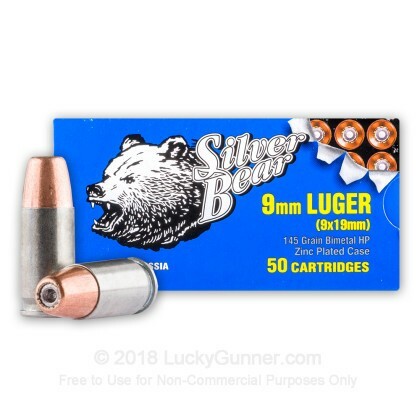 Manufactured at the Barnaul plant in Russia, Silver Bear ammo derives its name from the zinc-plated steel casings used. These steel casings feature a zinc plating to prevent corrosion improving the shelf life of these rounds! 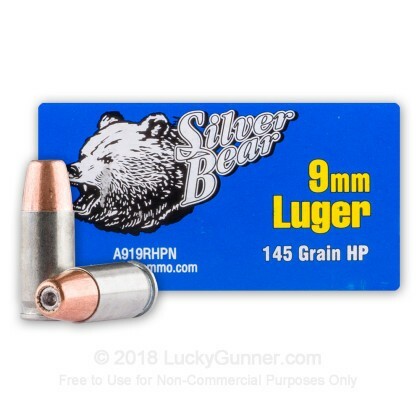 Additionally, zinc has a lower friction coefficient than steel helping Silver Bear ammo to feed and extract better than non-coated steel cased ammo. Manufactured in Russia, this product features zinc plated steel-cases and is berdan-primed, non-corrosive, and non-reloadable. Out of 100 rounds, 11 would not fire in either of my Rugers. Some of those did in the Glock. One would not fire at all. I bought 500 rounds. I'm hoping the rest fire better. I have done extensive research on this particular round. It only partially expands, but almost immediately begins to tumble. This round is capable of doing more damage then many hollow points I've tested. This round would be excellent if hunting things like hog, where a pistol must be used as backup. 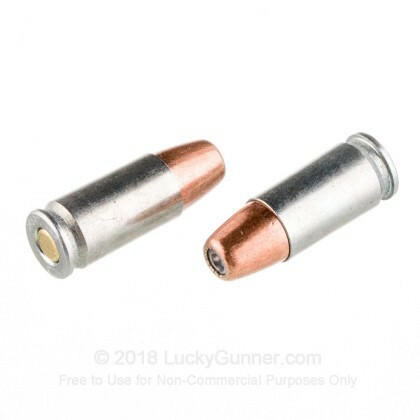 This round has a surprisingly large hollow point and virtually all the weight of the bullet is in the rear, this is why it tumbles so effectively. Overall, I like it! I will order more. Stuff feeds and functions well, shoots accurately, but does not expand well. I have tested this ammo extensively. Both ballistically and for accuracy. I find that it does expand but only partially. What does happen however is that the bullets tumble very reliably. 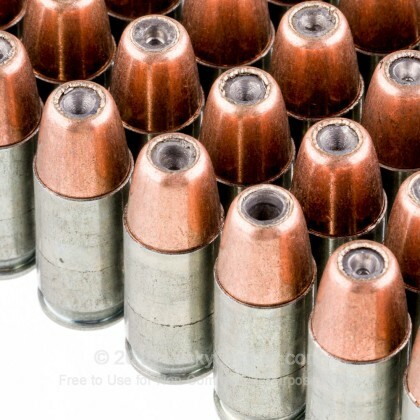 The big long bullet of 145 grains when it tumbles makes a lot bigger hole than 115 grain or 125 grain that just punches through. overall, this stuff is really good for self-defense in light of the fact it works better than regular full metal jackets of lighter weight. I received my order fast as usual. 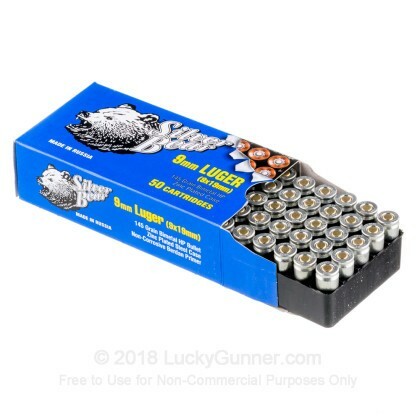 be aware though, this ammo won't pass the magnet test at your local indoor range. 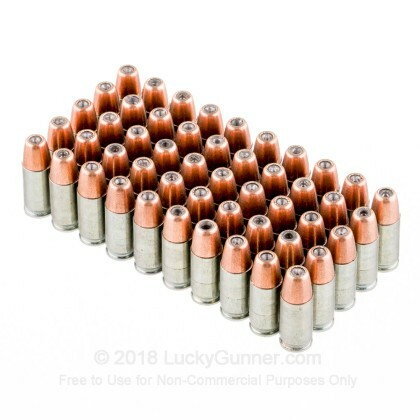 I have seen some youtube videos and commenters saying this ammo won't expand, whatever. stuff and the big flat hollowpoint should be better than roundnose FMJ in tearing wadcutter type holes. forget zombies, what if it turns out the targets are more like the enemy in "Battle Los Angeles"? I'm going for hard target penetration, or maybe just a hogs tough hide.